Siberia and the Far East contain the world's only remaining untouched natural resources and flora. The plants grow here naturally, freely, abundantly. Accustomed to constantly fighting for survival in the harsh climate, wild grasses have great resilience in Siberia. To use this living energy for the benefit of health and beauty, we apply a minimum of artificial additives, use advanced technologies and strictly control all stages of production. Because of this, the wild grasses can reveal their potential. Natura Siberica is not just natural cosmetics and not just cosmetics made from herbs. This is Russia's first organic cosmetic line and it really works. Highly active wild grasses from Siberia and the Far East. Modern formulas with the highest quality content of plant components. At least 95% of ingredients are vegetable origin. Certified organic extracts and oils. Free of petrochemicals, silicones, parabens, artificial dyes. Super Lifting Cream Russian cosmetics company Natura Siberica specifically designed for a specific moisture and nutrition delicate skin, so the discrepancy appearance of facial skin and neck skin is not conspicuous. The cream maintains skin tone and skin turgor, can save many years of healthy youth and beauty. 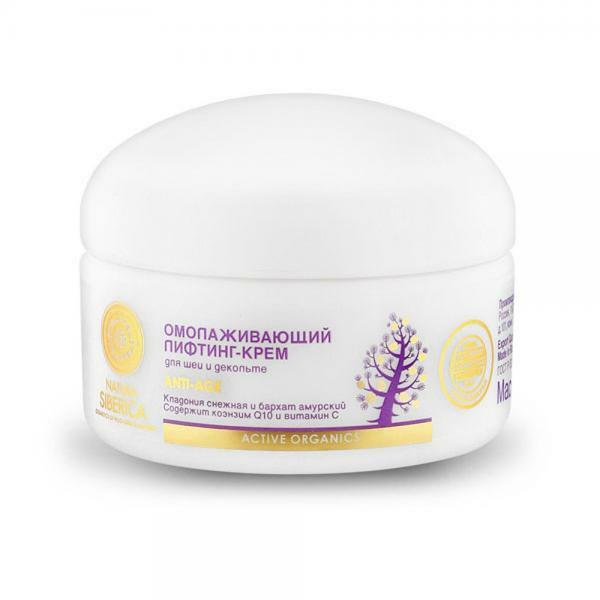 Energy untouched Siberian nature, carefully preserved in the extracts included in the medical cosmetic herbs, has on the delicate skin restores and strengthens the tangible impact. The cream contains SPF 15 filters for effective protection throughout the day from ultraviolet rays and effectively prevents unwanted pigmentation. 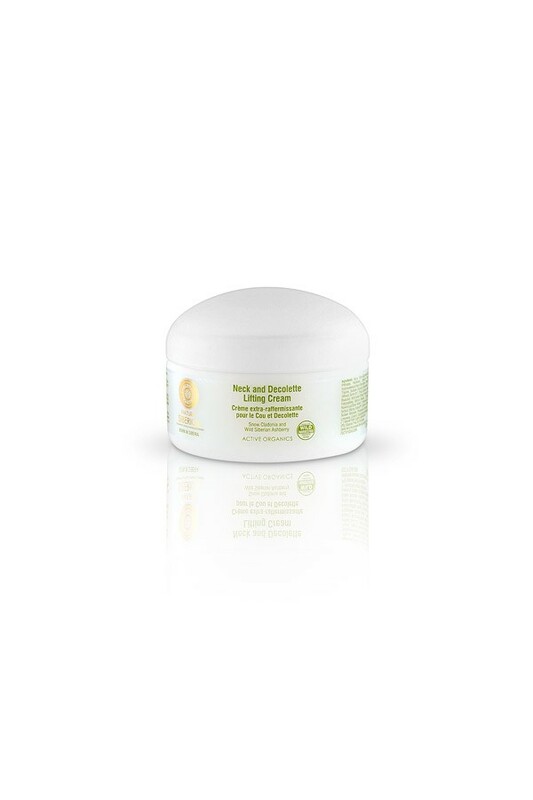 Massage lightly along the lines of least tension, apply lifting cream Nanura Siberica to cleansed neck and decollete area and leave until completely absorbed. NO silicones, mineral oils, parabens, BHT-BHA, PEG, EDTA.